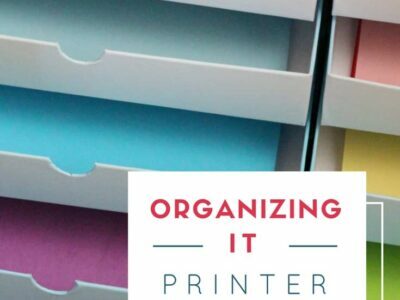 Are you looking for a way to organize a printer and paper? I couldn’t figure out what to do with our ugly printer and reams of paper for the longest time. 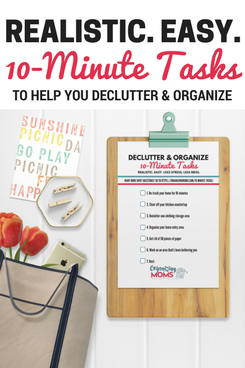 If you’re trying to learn how to organize your home, figuring how how to best organize papers can be a big help! 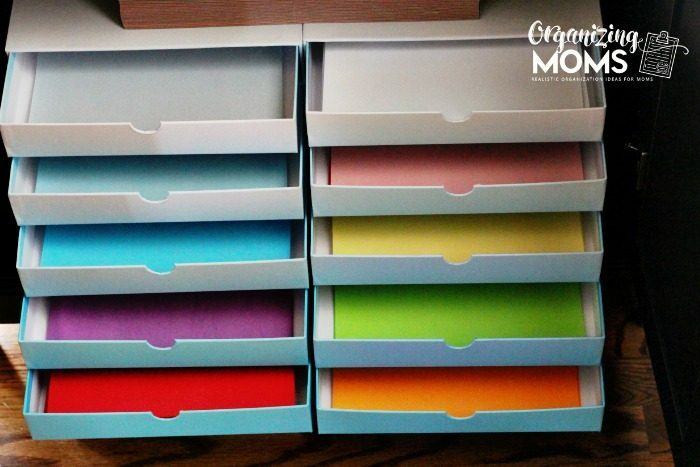 In this post, I’ll show how I organized everything and made it easy for my kiddos to access. Our old printer is still chugging along after 10+ years of use. We are still happy with it, but it’s HUGE and took up a lot of space on our desk. 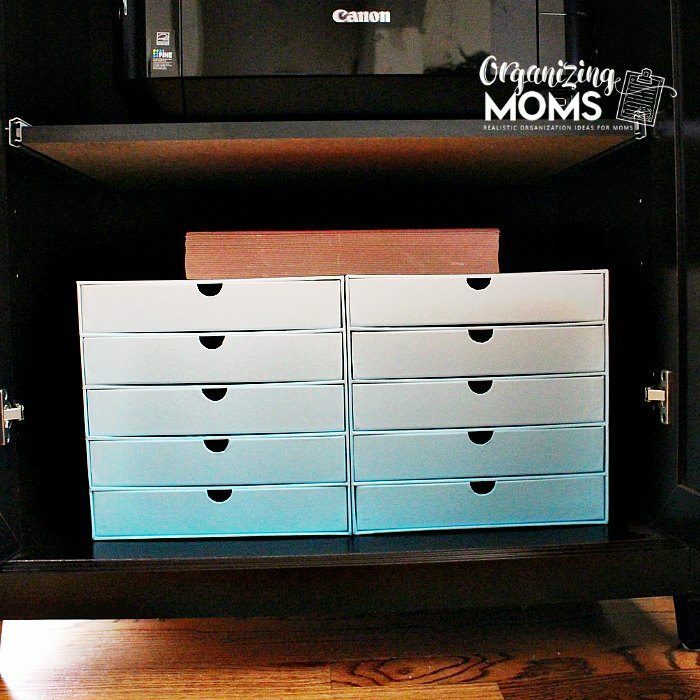 Last year, I thought I had solved all of our printer organization woes when I purchased a printer cabinet. It was just the right size for our beast of a printer, and we were able to store a lot inside of it. That worked out fine when I was the only one who really used the printer and its paper. 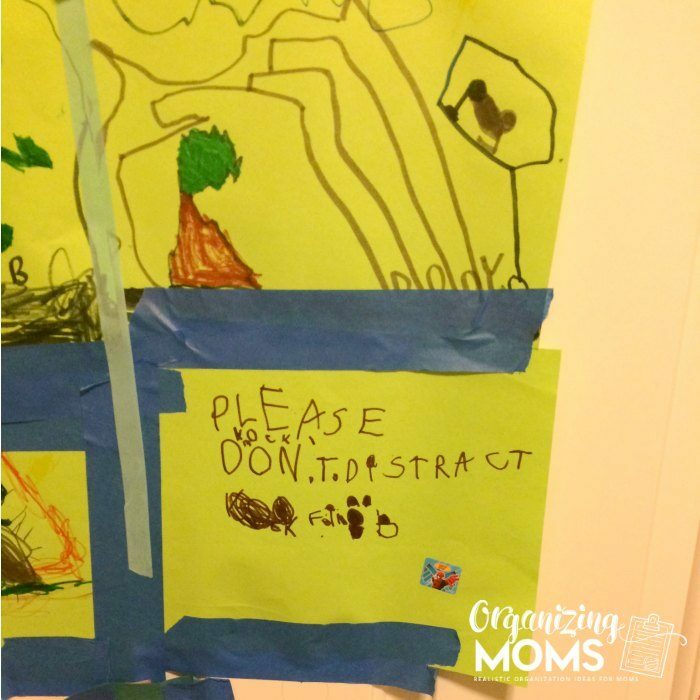 This year our boys started making “signs” and “drawings” to hang around the house. I gave them full access to our printer paper and supplies because their signs were so cute and hilarious! However, it didn’t take long for our simple little printer cabinet to turn into a disaster area. The boys spent a lot of time shuffling papers in the cabinet looking for just the right color, and a lot of paper was damaged, folded or torn in the process. I knew I needed to make something more kid-friendly, so I decided to invest in some paper drawers. The ones I bought were from Michael’s, but there are similar ones on Amazon too. 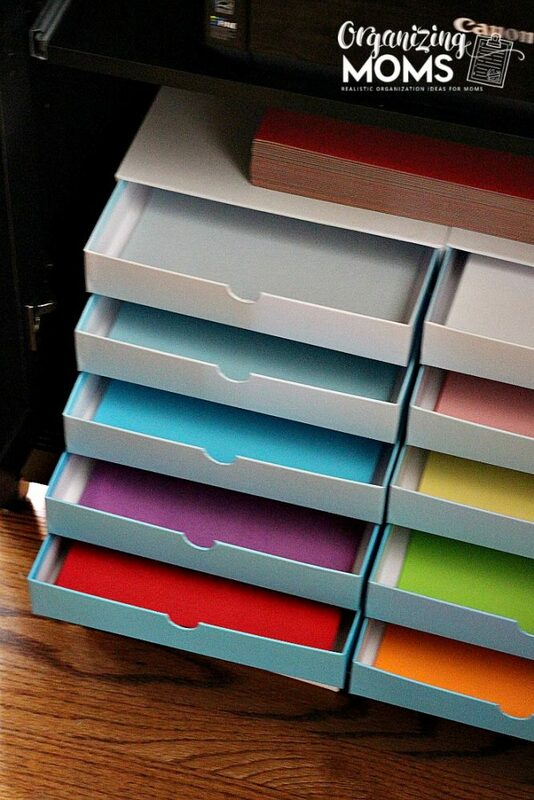 Once I had our paper drawers, pulling everything out of the cabinet and organizing the paper by color was easy and fun. 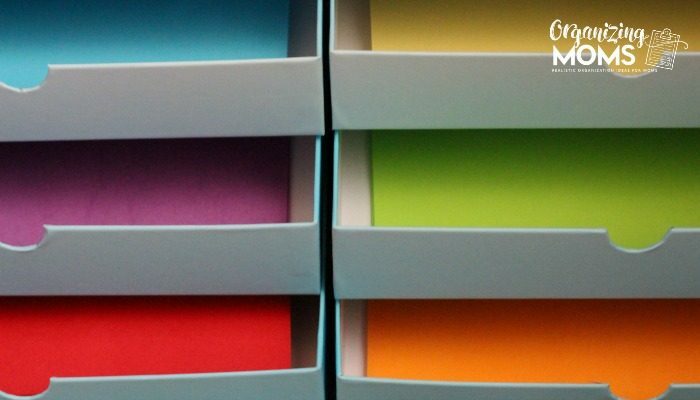 I didn’t realize that we had so many different shades of printer paper! Most of it’s left over from my teaching days, but how we got some of it is a complete mystery. I stacked some larger construction paper for the boys to use on top of the paper drawers. I can’t wait to see what kinds of creations they’ll come up with next! 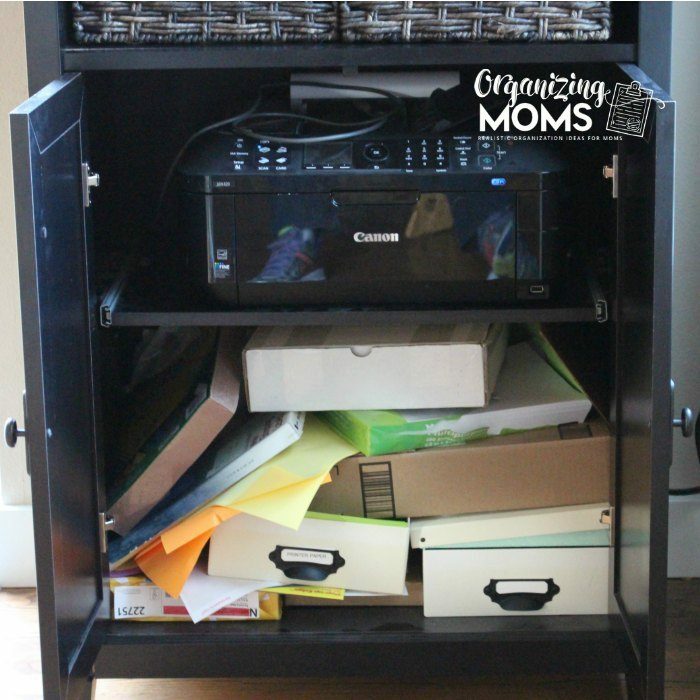 Sauder Printer Cabinet – Since we purchased ours, they started making them with a drawer on top. A way better option, in my opinion! 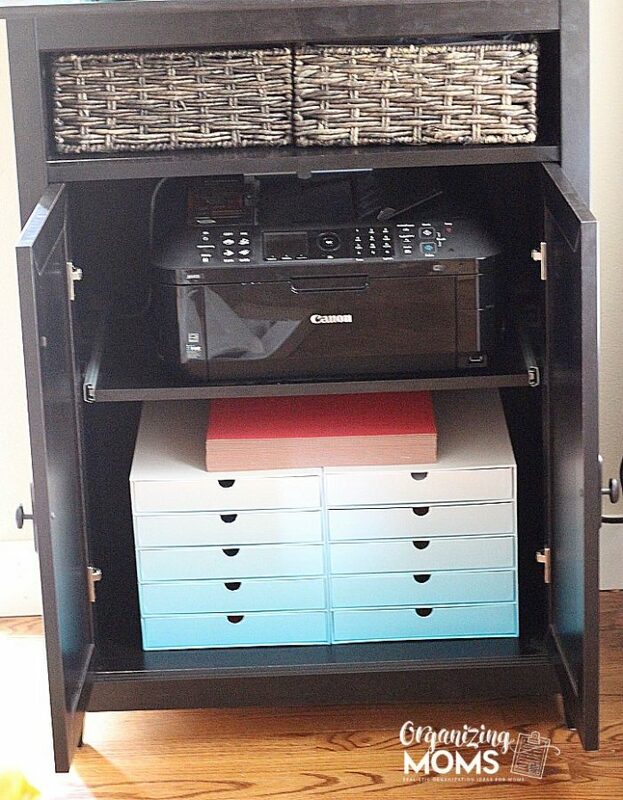 Paper Storage Drawers – I bought mine at Michaels, and as far as I can tell, it’s not sold online. 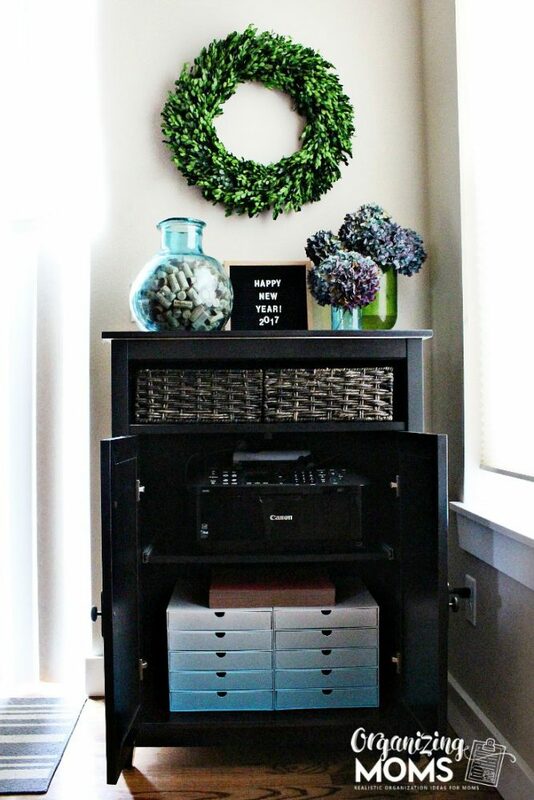 Here’s a similar option from Amazon..
Boxwood Wreath – Mine is from Target. Here’s a similar one from Amazon. Changeable Letter Board – To announce all of the holidays, congratulations, and cheeky messages. Baskets – These baskets are probably older than our printer! I think I bought them at a TJ Maxx long ago. Did This Pass the Kid Test? Yes! My sons are six, so they were okay with pulling out the drawers. A year or two ago, this probably wouldn’t have been so easy. If you have younger kiddos, or if you just think it would be easier, I’d recommend going for a literature organizer without drawers. I liked the look of the drawers, but I could see how they might be an issue with youngsters! 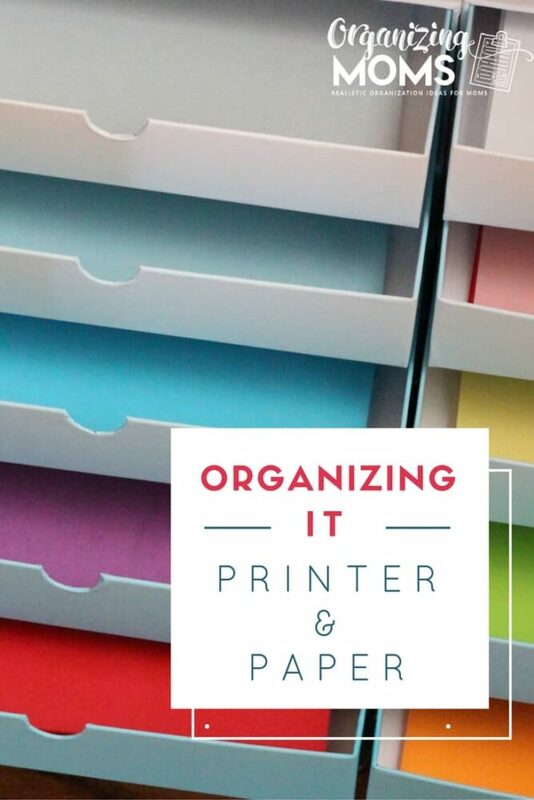 Thanks for checking out my printer and paper organizing project!